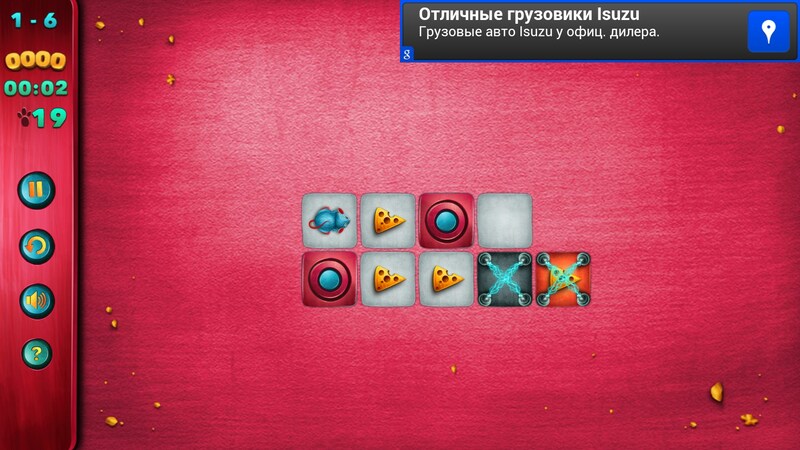 Cheese Please – Games for Android 2018 – Free download. 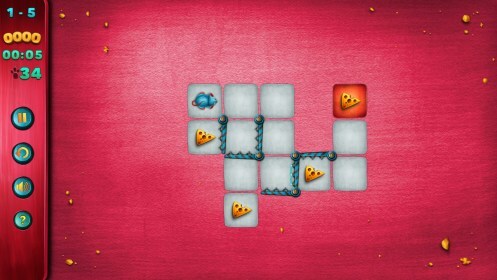 Cheese Please – Cheesy brain teaser with labyrinths. 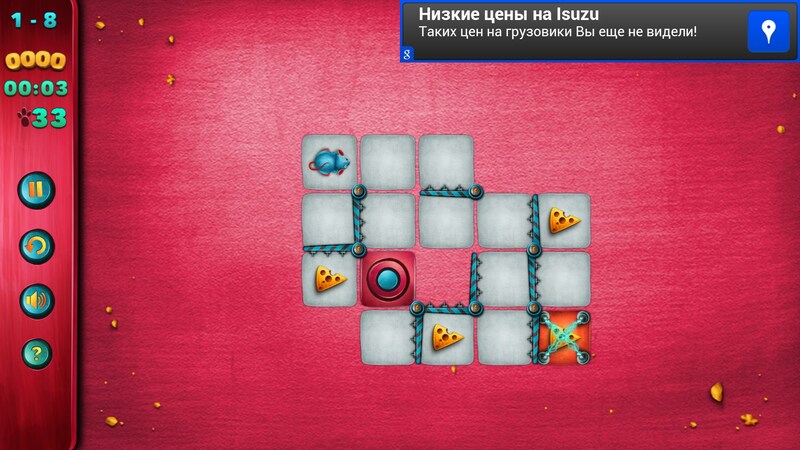 Cheese Please - puzzle of survival for Android, in which the main role is played by a sweet and very hungry mouse Lola, forced to gamble their lives. By all means, give little mouse Lola get to your favorite goodies and survive! In our lovely mouse game will beat the current and other trouble more than once, so prepare mentally to such an outcome of events. Fortunately, the attempts you have an infinite set, and each level can be replayed, even if the global goal was not achieved on the first try. And you're ready for a few pieces of fragrant, mouth-watering cheese? So, our main task - to move the hungry mouse through the maze in search of cheese, as well as the end point of release. It should be done, of course, very quickly, because of the number of elapsed time depends on your final bill. Also, very important is the number of steps performed, because at each level there is a set limit, exceeding which will have to start all over again. At each level, you will need to collect 4 slices of different kind of cheese, moving through devious traps, eluding from electrical walls and avoiding other hazards. Control of the game more than simple. Our mouse runs across the field, making their small steps for each selected cell. Take several cells at a time, you simply will not work. In order to pass the cell forward, it is necessary to press a finger on it and so on until the end slices of cheese at the outlet of the labyrinth. In addition, each step carefully consider your need, because here you expect such an obstacle, as the moving wall, beating the current in case of careless step. 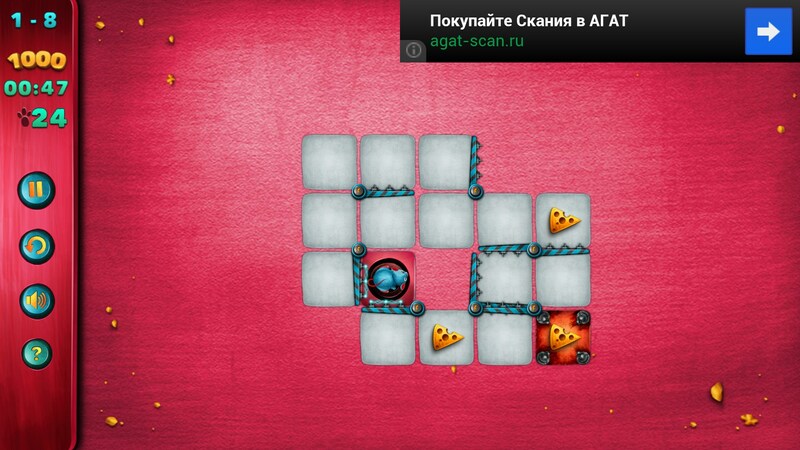 If you make such a situation, Lola will not be able to complete a level, and will have to start all over again. Lola goes only vertically or horizontally, and the walls are moving in a circle, making a complete rotation on its axis. Synchronization via Twitter and Facebook. The main drawback in this game - it's a huge amount of advertising that is more intrusive than getting out after each level, and, in addition, contains a constant, do not clean up the banner in the top right corner of the screen. And the saddest thing is that it can not be removed - the developers simply did not provide the option for users, so getting away from it simply nowhere to go, anyway. 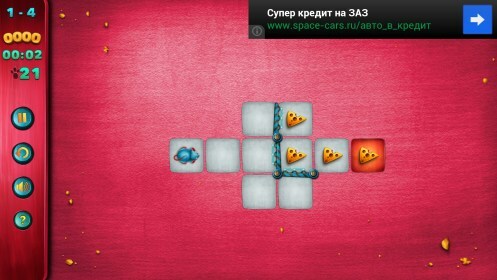 Cheese Please - funny and original puzzle game for Android, which is suitable for all ages and can appeal to any person, regardless of preference. Attractive graphics, pleasant soundtrack and sound effects, a variety of levels and obstacles - all made the original game and more than suitable for killing time, and the development of ingenuity and strategic skills.